Our cruise was thoroughly enjoyed! We couldn’t have asked for better weather. The boat was very comfortable, we felt safe. We learned much about the local history and the environment….and jumping off the boat for a swim was a bonus! Our host was incredibly knowledgeable about the history, geology and ecology of the area. I highly recommend Long Point Island Hugger Tours! 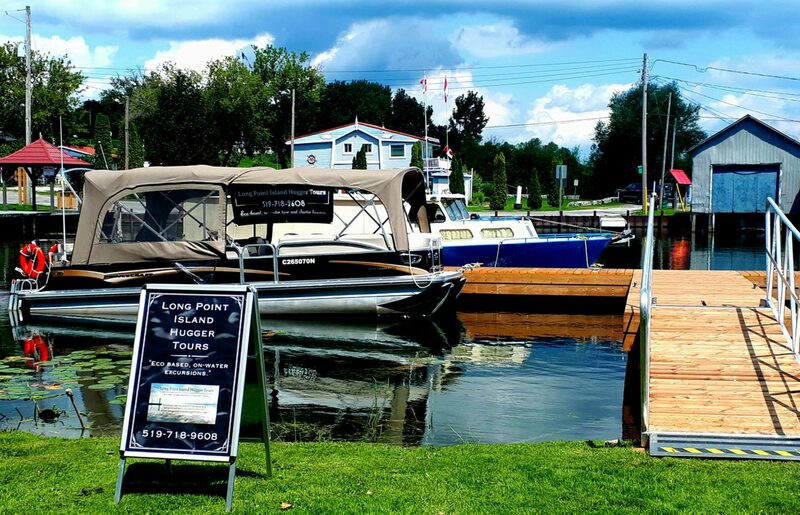 The Best way to experience Long Point from the Water! Captain Graham was an excellent host for our tour. He allowed me plenty of time to take many photos and explained things about the area and the Lake that was unknown to us! Well worth it! I highly recommend this to my friends, the tour was well worth it. Captain Graham was great as well.